From Goodreads ~ Aromatherapy is a method of employing essential oils to protect, heal and beautify. I'm addicted to scents and usually have incense or scented candles on the go. 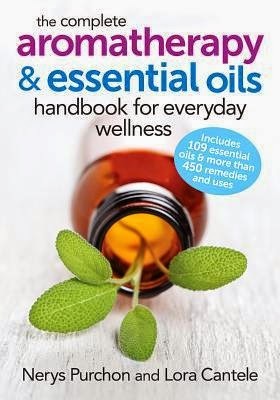 I enjoy aromatherapy and have been buying and mixing essential oils for years ... so that's why this book caught my eye. Place 12 drops in a 10ml glass bottle with a roller ball. Top up with fractionated coconut oil and shake to blend. Roll on temples, wrists and collarbones as needed. I would be inclined to also use this blend in a diffuser. It's an excellent book for beginners and those who are more experienced. Nerys Purchon was one of Australia’s leading experts on aromatherapy and essential oils. Her books have sold more than 300,000 copies worldwide. 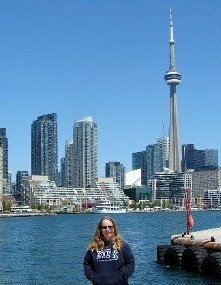 Lora Cantele, RA, CMAIA, AAS, is a registered aromatherapist, clinical aromatologist, certified Swiss reflex therapist, aromatherapy educator and writer.